I really liked how all of the characters were very realistic and true to people you would meet in every day life. There is always one person who hates sport, one person who loves sport, another person who is a bit of a player, another who has no control over their life and future due to uncontrollable circumstances…. the list is endless. Abby was pretty loveable herself – she wasn’t afraid to admit her dislike for excersise to those who loved it, which was pretty brave of her; yet she was also funny, confident and somebody you’d love to be friends with. There are a couple of males who keep cropping up throughout the book, and I actually quite liked them both immediately. When we first got introduced to Tom, I had a feeling there was going to be some kind of spark between him and Abby, so I was pretty disappointed to discover that he had a girlfriend. One thing I absolutely loved about this book was the motive behind it. This book has actually inspired me to do something to help other people who are less fortunate than myself. A huge part of this book involves raising money for charity, which I love love love! The idea behind it is so unique, yet so true to life as well. 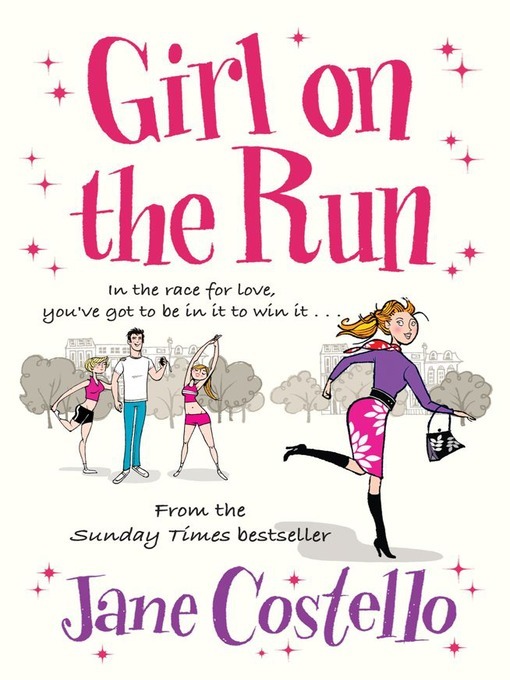 This is probably one of my favourite storylines for a typical chick-lit book – Somebody takes part in something they despise in order to raise money for others. What better lesson told than that? To be honest, I could imagine what was going to happen throughout the book. When we got introduced to certain people, I had a feeling what was going to happen next. However, despite these predictions, I still wanted to carry on reading and I still loved every single moment of the book, whether I knew the ending or not! Whether you like running or not, I advise you to read this book. Abby is so motivated and she really inspires you to grab every opportunity that comes your way. There is no point in giving up just because things get tough – you never know what is just around the corner. This book sounds right up my alley:)) I will have to check into getting it!